Gupta-owned media ANN7 and The New Age have agreed to publish and broadcast an apology to the ANC following their coverage of the recent national executive committee meeting, the party said on Wednesday. The ANC met with representatives of ANN7 and The New Age on Tuesday night after the NEC raised concerns. “The meeting noted that while both The New Age and ANN7 stand by their stories, both media organisations acknowledged certain errors in their reporting,” ANC spokesman Zizi Kodwa said in a statement. Kodwa said the meeting agreed to take their discussion forward in a way that would “encourage a dynamic and respectful relationship”. The ANC had earlier condemned the broadcaster and the newspaper for their reports about an alleged plot by senior ANC members to topple President Jacob Zuma. “The NEC expressed its utmost disgust at the arrogance, disrespect and reckless journalism displayed by The New Age newspaper (March 18-19), ANN7 news channel (March 16-18) and representatives of the Gupta family,” secretary general Gwede Mantashe told reporters on Sunday. The New Age and ANN7 reported about an alleged plot involving high-level ANC members to topple Zuma. Mantashe also said the NEC had instructed officials and the national working committee to gather all pertinent information about the allegations that the Gupta family was influencing or offering ministerial appointments. When contacted about the meeting with the ANC on Tuesday, The New Age MD Gary Naidoo said it would be “inappropriate to comment further” until the ANC NEC had published its findings. At the time of publication on Wednesday, Naidoo had not responded to an e-mail requesting comment. The Guptas have said that they will co-operate with the ANC during its review of the matter. “The Gupta family welcomes the decision of the ANC to investigate the alleged capture of the state by any business entities,” they said in a statement sent by Oakbay Investments, the holding company for the family’s businesses in South Africa. Forget the trial by innuendo BS let’s have a real trial with some high court, under oath, cross examination by independent lawyers and judges. Isn’t it interesting how The New Age MD Gary Naidoo, is unavailable for comment about the apology but as the Gupta family spokesperson was quick to comment about media reporting about Themba Maseko and Vytjie Mentor. And I suppose he also doesn’t see the irony in terms of being the MD of a newspaper owned by the Guptas and also their spokesperson. Doesn’t do much for the credibility of The New Age (not that it had any to start with). The ANC have no problem lying under oath. That is what always worried me. The advocates handlingthis case have to be so well prepared to catch them out in lies. What really worries me is getting the effers into court in the first place! Between the ANC dragging its corrupt feet and our Keystone Kops ‘losing’ any docket that might just bring a real chance of natural justice to the man in the street I do not see much chance of any trials before the 22nd century rolls in. 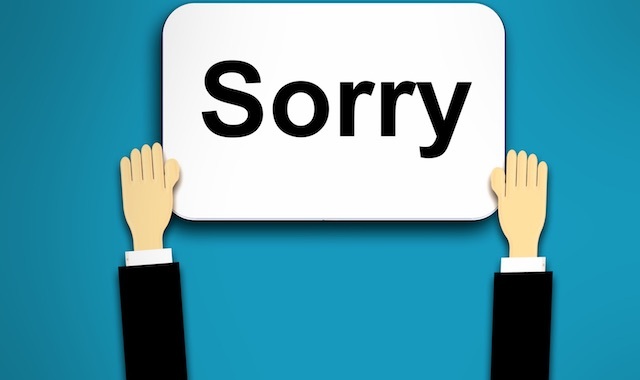 why publish an apology that no one will read? The Sew-Age has a circulation of about 7 copies a day and ANN7 is a reality comedy show for the retarded.